Very few students can afford to complete their education without relying on student loans to help them pay for college. Student loans play a vital role in helping students finance their education, and without them many people would be unable to pay for college. But student loans can also create a burden for many students. A college degree greatly increases a person’s earning potential, but new graduates seldom reap the financial benefits right away. It may take some time before students realize their full earning potential, and it can be difficult for some graduates to keep up with their loan repayment plans. What exactly is loan consolidation? What types of student loan programs offer consolidation plans? 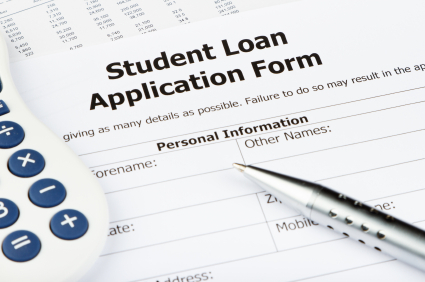 Where can students find a loan consolidation lender? Is loan consolidation always the right choice? When borrowers consolidate their outstanding student loans, whether the loans are Federal or private, they are essentially securing a new loan. While the term “consolidate” implies a combing of outstanding loans, it is a misnomer. The borrower’s debt is not actually combined to create a single loan. A lender agrees to pay off an individual’s outstanding student debt, including interest, fees and penalties, and underwrites a new loan for the borrower. This new loan will come with its own terms and conditions, including interest rates, attendant fees and repayment schedules. This new loan will allow student borrowers to replace multiple payments with a single, more manageable, monthly payment. Ideally, a consolidated loan will provide students with a low monthly payment, as well as a possible lower interest rate. Students considering a consolidated loan should understand they will be extending the life of their college loan debt, and even with a lower interest rate will ultimately be increasing the overall costs of their student loans. Students will need to weigh the pros and cons of loan consolidation to decide of it is the right choice for them. Students can use our Self Assessment Quiz to see if they fall into the category of those that would benefit from student loan consolidation. Federal Direct PLUS Loans for Parents can not be transferred to the student, and are therefore ineligible for Federal loan consolidation. Terms and conditions on Federal Consolidated Loans are in line with all Federally backed student loans. Interest rates are based on the weighted average of the interest rates on the loans being consolidated, but may not exceed 8.25 %. Many private lenders specializing in student loans offer loan consolidation services. Unlike Federal loan consolidation, eligibility for private loan consolidation is wholly dependent on the applicant’s credit history. In some instances, banks will allow borrowers with poor credit to engage a cosigner in order to secure a consolidated loan. As with all private loans, terms and conditions are set by the individual lending institution. Students looking to consolidate their private college loans should first look to their existing primary lenders. Many banks, savings and loans, and student loan organizations offer loan consolidation for their current customers. That being said, like all student loan services, its always advisable to shop around for the best deal. Another lender may offer lower interest rates and better terms on their consolidation loans, and students may find that they can benefit from switching to another lender. Students who have earned their degree, and graduated from university, may be able to take advantage of an Alumni Consolidation Loan. Many private lenders have partnered with established college alumni associations to offer affordable group rates on student loan consolidation products. To be eligible, students must be members in good standing of their college’s alumni association. Student loan consolidation offers a way for graduates to effectively deal with the burden of their college debt. Loan consolidation is not for everyone, however, and student-borrowers should research their options thoroughly before securing a consolidated loan.